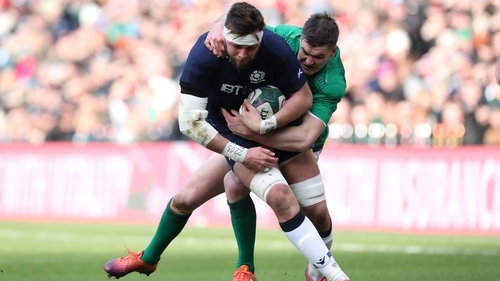 The Glasgow captain went off injured halfway through Scotland's 22-13 defeat by Ireland on Saturday and has been diagnosed with ligament damage. 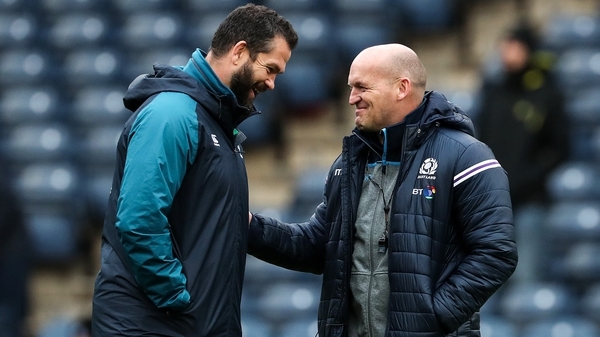 The Scotland head coach admitted Wilson's loss had been as much a blow as Hogg's early withdrawal as Scotland failed to keep their first-half momentum going at BT Murrayfield. Townsend is also missing key players Hamish Watson, John Barclay and David Denton from his back row while Blade Thomson, Magnus Bradbury, Cornell Du Preez and Luke Hamilton were also injured before the Six Nations began. John Hardie and Sam Skinner were both unavailable for Saturday's game after picking up injuries. Jamie Ritchie and Josh Strauss started in the back row on Saturday, with Rob Harley ultimately replacing his Warriors team-mate Wilson. Newcastle's Gary Graham could come back into the reckoning after dropping out of the 23-man squad following his debut against Italy. Hogg only lasted 17 minutes before a collision with Peter O'Mahony saw him land on his shoulder, which suffered ligament damage. Scotland conceded a try within 60 seconds and missed the twice player of the tournament for the remainder of the game. Jones finished the game but has also been diagnosed with ligament damage in his knee. Both backs remain with Townsend's squad and will see specialists this week.